Latif asks: should I stop my isotretinoin? Disclaimer: if you are on any prescribed medications, speak to your doctor before you start/stop anything. 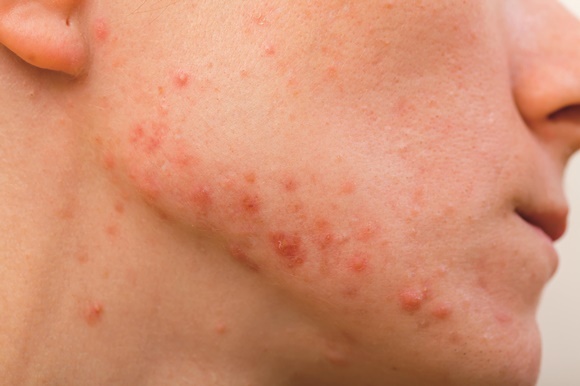 Isotretinoin better known under the guise of Roaccutane, Oratane, Accutane etc… it’s a wonder for severe cystic acne and many other skin conditions. What concerns us in today’s question is that Latif was getting stomach aches about 6 days into using it and needed to know whether to be concerned or not. 3) some people have even gotten IBD AFTER stopping isotretinoin which may suggest a dormant form of IBD which may have been triggered by the drug. 4) It isn’t practical to check every single person for signs of inflammation so common sense should say: be more cautious if you have a family history of gut issues; if you take non-steroidal anti-inflammatories e.g. Nurofen, aspirin; and if you smoke. Summary: before starting isotretinoin, review your medical history thoroughly with your doctor. If you notice anything out of the ordinary, err on the side of caution and tell your doctor! ← Apple Cider Vinegar (ACV)-Does it actually do anything?